Home / FAQ / How much would a senior health insurance plan cost? Let’s face it, health insurance companies are in the business to make a profit and the higher risk you are to insure, the less profitable you will be. Senior health insurance plans tend to cost more per month than those insurance plans for a younger and healthy adult. If you have any preexisting health conditions the monthly premium could be even more. Finding the right insurance for seniors doesn’t have to be challenging- look for health insurance quotes by entering your ZIP code in the FREE search box! According to the website Everyday Health, Medicare alone might not provide enough coverage for seniors in terms of health insurance. Because of this it’s also a good idea to explore supplemental health insurance. According to the Department of Health and Human Services, Medicare is government sponsored health insurance for those citizens who are 65 years of age or older and also those who are under 65 years of age, but who have certain disabilities. Medicare is also for those U.S. citizens of any age who have been diagnosed with End-Stage Renal Disease, also known as ESRD. 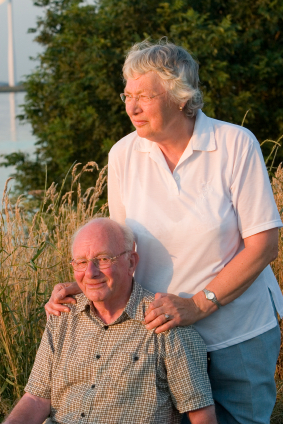 Medicare provides coverage to people who are limited in their resources and cash flow. Even though this is a government program, you should still do your research on which are the best Medicare health insurance companies. There are several parts to Medicare health insurance which can help seniors get the coverage they need. Hospital Insurance is one part of Medicare. This insurance covers inpatient care, which includes hospital stays, nursing facility stays, hospice and home health care. In most cases there are no premiums for Medicare’s hospital insurance. Another part of Medicare is the medical insurance. This will cover the costs of doctor’s visits, outpatient services, use of medical equipment and home health care. There is a monthly premium for medical insurance and there can be gaps in this insurance. However, many people will get supplemental insurance for Medicare from private companies in order to cover this gap. While not covered under Medicare’s hospital or medical insurance plans, there is an option for those who need a prescription drug plan. Medicare has a plan specifically designed to help lower the costs of medications and prescription drugs. This program is run by Medicare approved health insurance companies in the private sector. Another option is Medicare Advantage. This is a health insurance plan that is run by Medicare approved private health insurance companies. Medicare Advantage is an all-encompassing health insurance that will include Medicare hospital and health insurance along with prescription medication coverage and extra benefits at extra costs. What other types of senior plans exist? While not everyone qualifies for Medicare there are other options for seniors to choose from when seeking out health insurance. Many can choose from private companies and managed health care plans. Managed health care plans cover over half of the citizens in the United States. The copayments tend to be less because you use a network of medical professionals that offer insurance companies discounted rates. POS plans are where you need to have a primary care physician that will manage your health care. Your primary care physician is the first person to go to in order to receive medical care and he or she can refer you to other professionals as needed. You can also choose doctors and hospitals outside of your network, but you’ll end up paying more for this option. PPO plans will allow you to choose doctors and hospitals outside of the given network, but the deductibles and copayments are much higher to cover the cost of more expensive medical care given to the insurance companies. HMOs are plans that also require you to have a primary care physical and stay within your given network of professionals. The exceptions to this plan are medical emergencies. Age and preexisting medical conditions are the big factors when health insurance companies determine your monthly premiums. The higher the risk of you needing to use your health insurance is, the higher your premium and deductible will be. Your geographical location and your overall health will also be taken into consideration. Searching for senior health insurance? To find the very best health insurance rates simply enter your ZIP code in this FREE quote tool!